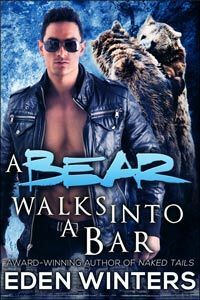 Congrats to Elisa, who won A Bear Walks into a Bar by Eden Winters! I never really thought about why paper books have varying numbers of blank pages at the beginning and/or end, but it makes sense. Eight books that broke records. Nine things about 100 Years of Solitude. “Expiration dates on your food mean nothing“. Three weeks of rocket launch preparation covered in three minutes. 40,000 years of London’s history in three minutes. 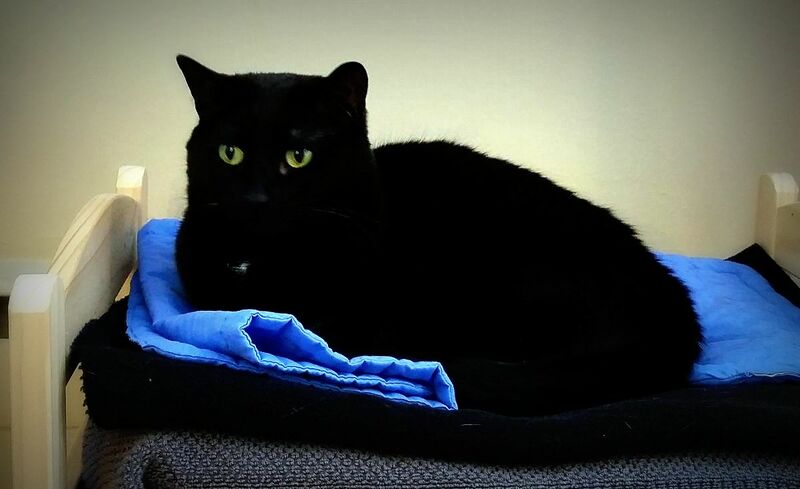 “Practice mindfulness by savoring chocolate“. Remember any of these fast food slogans? Mattel will be releasing dolls with more realistic curves than Barbie’s. LEGO will be releasing a minifig in a wheelchair. Anyone want to bet that Michael Moore’s next film will be about the municipal water fiasco in Flint? Some pictures from last weekend’s blizzard on the East Coast. Creamy braised cauliflower with sun-dried tomatoes. Slow-cooker vegetarian split pea soup with grilled cheese croutons. Parsnip cake with cream cheese frosting. Chocolate beet cupcakes with sour cream ganache frosting. Turkey meatloaf with pecan crust. Beef and mushroom stuffed acorn squash. Bodleian Library has released a free coloring book. Make your own hand-sewn journal. Mr. Rogers on making art. This is what my neighborhood looks like in the early evening these days – crows! Loch Ness monster tea strainer. Non-street Google Street View locations. “Disney princesses reimagined as cement mixers“. Why would you proudly display a cake wreck in your bakery’s window? Your dragon name. Hopefully you have better luck than I did – mine’s Islkkap. “Fool-proof mood killers: Songs for your neighbors who won’t stop banging“. “The Late Show Accent-Off: Minnesota Edition“. Kitten! 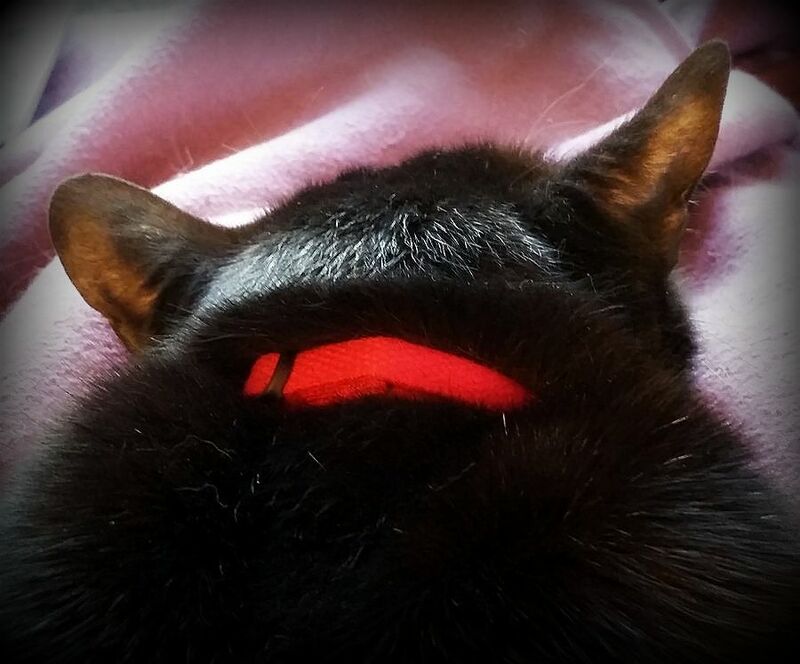 Kitten! 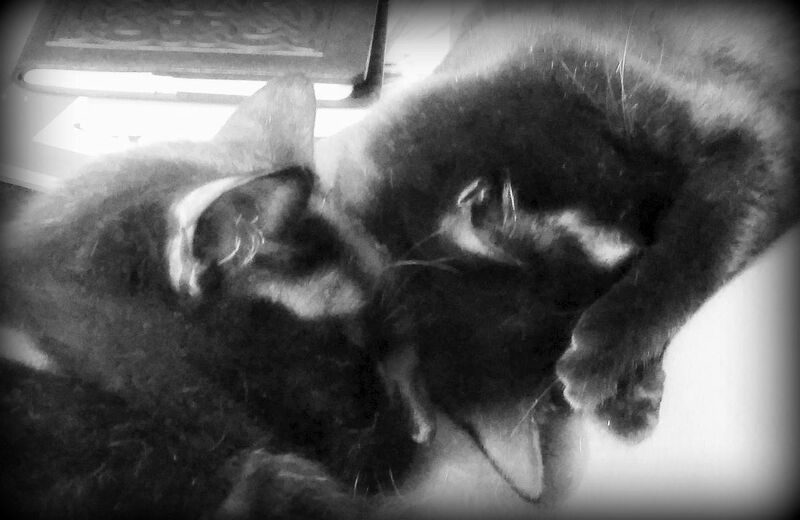 Kittens! Baby pandas! Kitten! Baby penguin! Kitten! Yellow-backed duiker and baby! 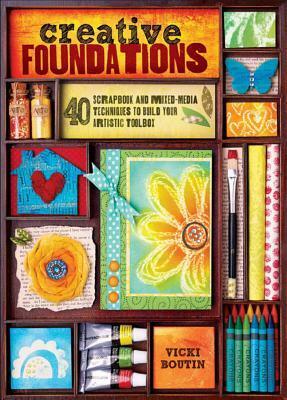 Creative Foundations: 40 Scrapbook and Mixed-Media Techniques to Build Your Artistic Toolbox by Vicki Boutin. Too many exclamation points, too cutesy, and too much time spent pushing a certain line of products. 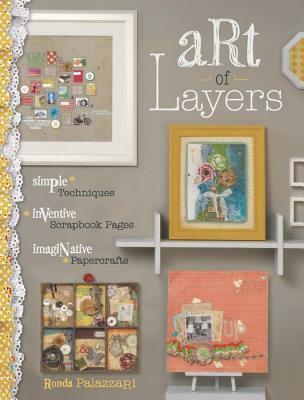 Art of Layers: Simple Techniques, Inventive Scrapbook Pages, Imaginative Papercrafts by Ronda Palazzari. I think I just need to stay away from books with “scrapbook” in the title. 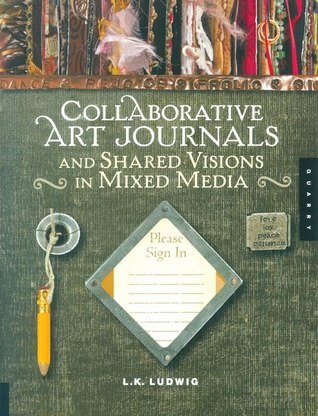 Collaborative Art Journals and Shared Visions in Mixed Media by LK Ludwig. Interesting overview of different ways in which artists work together and exchange work, such as swapping art and working together on a work or works. Although this was published in 2009, it felt more dated than that – probably because most of the collaboration and swapping was coordinated via Yahoo groups. Congrats to Yvette, who won Yesterday by to Mickie B Ashling! Yesterday is being released today by Dreamspinner Press. Blodeuedd on “[t]he art of DNF”. Making a book from scratch. A blood-sucking leech has been named in honor of Amy Tan. I have no idea where to put this, actually. But hey, cabin fever is totally a thing. 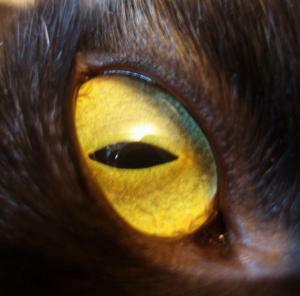 “The science of internet trolls“. Stupid cedars. I was so sick with asthma and bronchitis for the few months I lived in Texas. Ugh. There’s maybe a ninth (non-Pluto) planet. The first flower in space… did not bloom this week. It bloomed in 1971. But hey! This was the first zinnia in space. How astronauts make coffee in space. What if… all of the sun’s visible light was beamed at the earth in a one-meter beam? What if… a 2000 Jetta tried to re-enter the atmosphere? De-seed a pomegranate using a salad spinner. “Trick a guard box-protected thermostat into warming up the office“. Oh oh – “[a]ccording to IKEA, we’ve hit ‘peak home furnishings'”. Quinoa bowl with kung pao edamame. Mini polenta grilled cheese bites with marinara. Collard green chicken salad wraps. 5 three-ingredient bean dip recipes. 12 recipes for slightly salty sweets. 8 forgotten pie recipes. That first one! Buttermilk pie. My family has made that one since I was a kid – I’ve even made a gluten-free version. It’s delicious, but so rich it’ll about kill you. Italian flatbread with roasted vegetables. Pesto pasta and vegetable toss. Starbucks-style iced lemon pound cake. “The ultimate guide to naturally gluten-free recipes“. Webpage where you can design a circular (colorwork) yoke sweater. Adding two-color pinstriping to your knitting. Guardians of the water supply. Moving short Star Wars fan film. 30-minute LEGO version of the first Ghostbusters movie. 10 films from the Sundance Film Festival that you can stream. LEGO model of the Titanic breaking in half. Dude, that’s not a little lake. High-heel shoe shaped church in Taiwan, hoping “to attract female worshippers”. Weapons confiscated by the TSA in 2015. “Coca-Cola, Pepsi once again fund a study claiming diet soda is better for you than water“. “The funniest things you’ve heard Tube drivers say“. Baby tigers! Kittens! Baby penguins! Baby polar bear! Baby penguins! Baby lions! 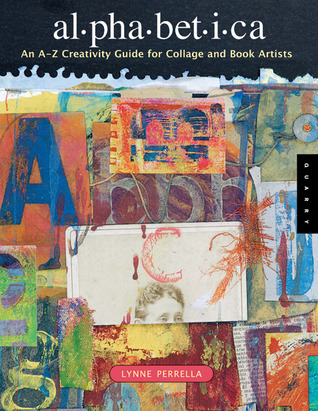 Alphabetica: An A-Z Creativity Guide for Collage and Book Artists by Lynne Perrella. I was hoping this would be inspiring, but mostly it was annoying. The first part of the book showcased various pages from the collaborative art journal project, in no discernible order, but definitely not in alphabetical order: letters were used multiple times (and possibly not at all – I couldn’t be bothered to confirm this bit). The second part of the book featured very short descriptions from each artist about how they worked on their parts. Needs more contrast, but spirals! 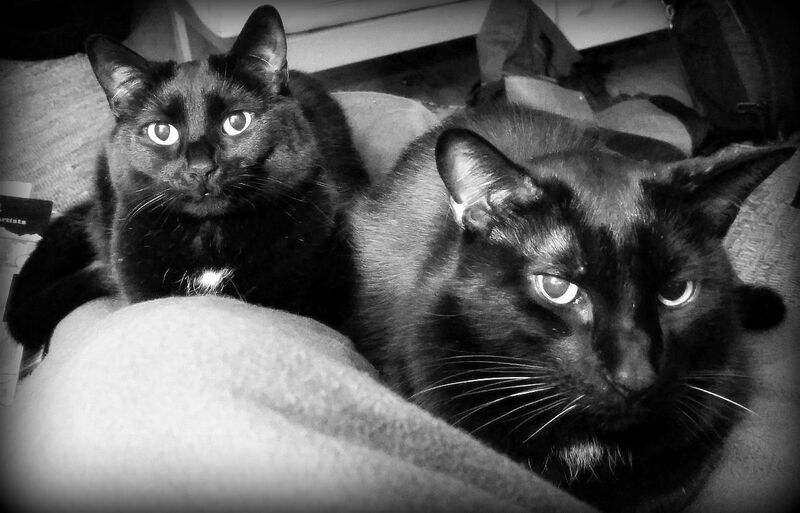 Black and white, with typewriter. Gelli print and silvery doodles. I feel ya, May. 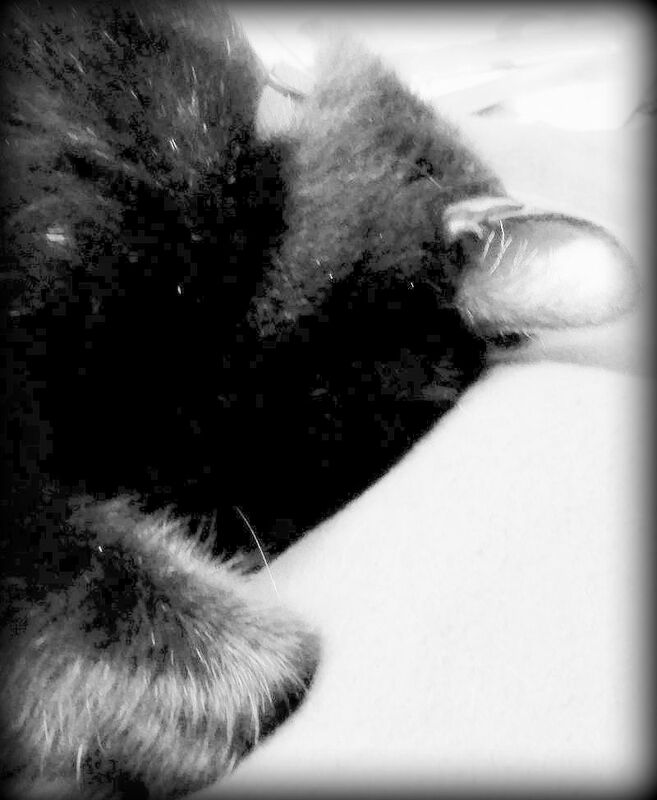 Wish I could’ve stayed in bed with my hands over my face, too.